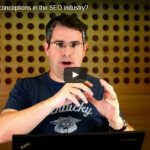 Last time we discussed how to prepare and begin keyword research by thinking about your niche and unique selling points and the importance of dedicating some time to really getting it right. Part 2 is all about finishing up the research and making the right choices. Which results are good? How do I make a choice? Ideally we want to be finding keywords with a high search volume, but low competition. 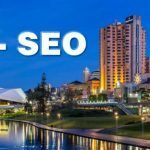 In other words… a phrase that a lot of people are searching for, but with only a small amount of websites appearing in the search results. So, when researching, keep a shortlist of possible options and their search volume and competition so you can keep comparing. Once you think you have enough possibilities on the shortlist (we usually aim for between 15 and 20) it’s time to start the process of elimination. Which phrases best describe your business and also have enough searches to be worthwhile optimising for? If you get stuck for ideas or just want to be as thorough as possible, check out what your competitors are up to. What keyword phrases are they targeting? 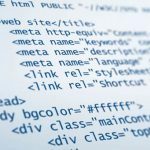 Are there any there that you didn’t think of that are perfect for your own site? Speaking of competitors, make sure you stay realistic about your goals and possibilities of each keyword phrase. If you’re a new hamburger shop, don’t pin too many hopes on topping the big names like McDonalds or Hungry Jacks (Burger King) for the keyword ‘burger’ or ‘value meals’. Find your niche, where you sit in the market and how to attract the people who are looking for your products. One last point for finding keywords and researching… is to put yourself in the consumer’s shoes. Think about what they would type into a search engine to find your business or the products you sell. Often business owners can’t see the forest for the trees. Don’t be afraid to ask around. Employees, friends, family and best of all, your customers, will all have valuable input to help you start finding keywords that are perfect for your business. You should now be well on your way to finding keywords that are ideal for your company. 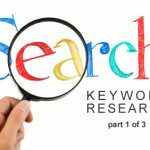 The 3rd instalment in the keyword research series is a checklist of common mistakes made when performing keyword research and some examples. Lets double check our research and make sure we didn’t fall into any traps.